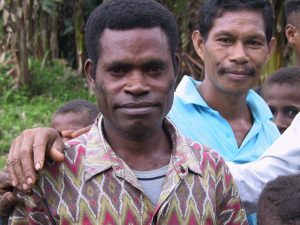 The recent landmark decision in Indonesia to award control over a 3,500 hectare swathe of land in West Papua to a local indigenous community is testament to the resilience and perseverance of the Knasaimos people who have struggled for over a decade to gain the right to manage their forests. The Environmental Investigation Agency (EIA) was privileged to work alongside members of the Knasaimos community over 14 years ago to expose and stop illegal logging taking place on their ancestral lands. Although 8,000 miles separates EIA’s office in London from the Knasaimos area in the Bird’s Head region of Papua, a special bond exists. The story of how EIA came to collaborate with the Knasaimos starts, like many good tales, with a mysterious map. Since 1999, I had been working on the ground in Indonesia as part of EIA’s Forests Campaign to curb rampant illegal logging in the country. 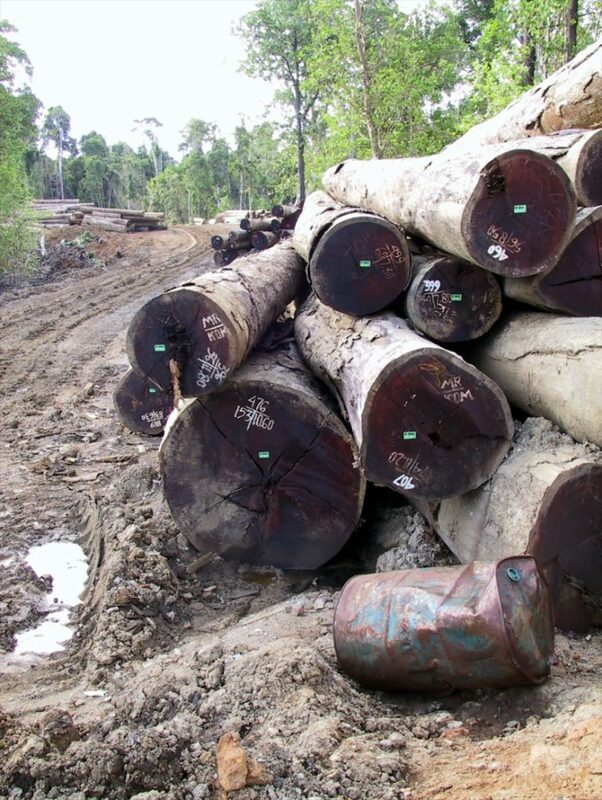 Most of our initial efforts focused on Kalimantan, where evidence of unbridled forest destruction was all too apparent. 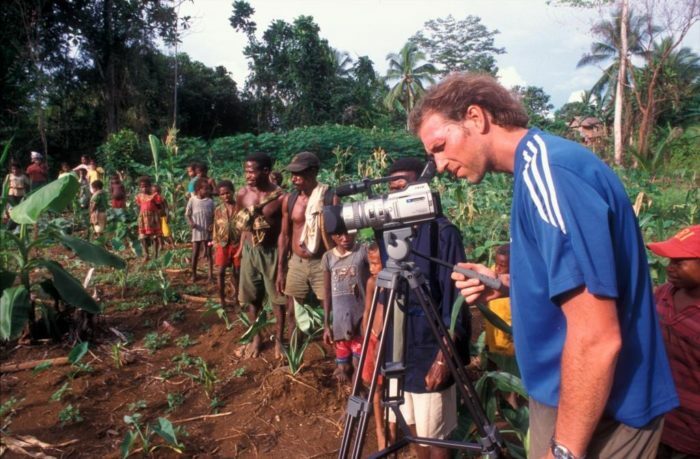 In 2002, I began to receive further evidence that logging gangs were switching their attention to the relatively pristine forests of Papua – home to the third largest expanse of intact tropical forest in the world, home to a mosaic of indigenous communities and unique biodiversity. So, in September 2002 I embarked on EIA’s first trip to Papua, accompanied by two friends from our Indonesian partner NGO Telapak. The aim was engage discreetly with local contacts in the town of Sorong, a hub for the illegal logging business, and to begin gathering hard evidence on the main culprits. On the third night, we received a surprise visit at our hotel from two representatives of the Knasaimos people. They had heard of our visit from a trusted confidante and had a story to tell us. Spreading out a hand-drawn map, they pointed out areas of their lands which had been invaded by illegal logging operations, orchestrated by a powerful military police officer. Despite complaints to the local authorities, the logging was expanding. After talking long into the night, we agreed to return as soon as possible to visit the area and document the problem. The following February I returned to Sorong with two colleagues from EIA and Telapak. We met with our contacts from the Knasaimos and arranged to depart the next day for what was described as a two-hour boat trip and then an hour-long stroll through the forest to reach their homeland. After stocking up with provisions, we set off for what turned out to be a four-hour river trip followed by a five-hour slog through dense forest at night. We finally arrived at the village of Manggroholo in the early hours of the morning, after the priceless experience of trekking through the verdant forest with flaming torches to guide us. Despite the late hour, the whole village seemed to have waited up to greet us. For the next three days we filmed many aspects of the traditional lifestyle of the Knasimos and gathered evidence of recent illegal logging activities, including a stockpile of over 2,000 logs of a tree species called merbau awaiting collection by the timber smuggling syndicate. Through a recorded interview with Frederick Sagisolo, head of the Knasaimos, we learned more about the discord and stress created by the logging intrusion. Frederick described how the community’s traditional way of life was under threat, with some members being coerced to sign documents granting logging rights which in turn creating divisions. He explained that the military police officer, named Kaspar Ohoiwirin, was actively intimidating the community to acquiesce to the logging. After four days of wonderful hospitality we felt we had enough evidence and began the long journey back to the Indonesian capital of Jakarta. Upon our arrival, we briefed trusted contacts in the Ministry of Forestry on the illegal logging situation in West Papua, and the Knasaimos situation in particular. Given the involvement of the military, we had low expectations of any action. Instead, we decided to launch a major undercover investigation to expose the scale of the illegal logging in Papua, the modus operandi of the timber smuggling syndicates and the identity of the main culprits. This endeavour would last almost two years and would take myself and colleagues from the teeming city of Jakarta, where military-backed deals were done, to Singapore where vessels were charted and payments made, to Hong Kong where shady brokers cut deals and, finally, to eastern China where the illicit merbau logs were processed into finished products. What we discovered was a $1 billion a year criminal enterprise based on corruption, intimidation and greed. In February 2005, we launched our findings at a packed press conference in Jakarta in the form of a report entitled The Last Frontier. The story dominated the local media and prompted the Government to launch an unprecedented enforcement operation which quickly stemmed the flow of illegal logs from Papua. In the midst of a hectic few days, I received a welcome call from the first person from the Knasaimos I had met back in 2002. He told me the rogue military police officer Ohoiwirin had fled the area and the logging had ceased. Although this marked the peak of EIA’s involvement in supporting the Knasaimos’ efforts to resist illegal logging, for the community itself another struggle was just beginning – securing the right to manage its forests free from the corrosive influence of outside logging and oil palm companies. Over the past decade they have resisted attempts by palm oil companies, often backed by Government officials, to clear forests on their land for plantations. Across Papua, huge swathes of forests are being carved up by palm oil companies, with dire implications for local communities and their traditional livelihoods. 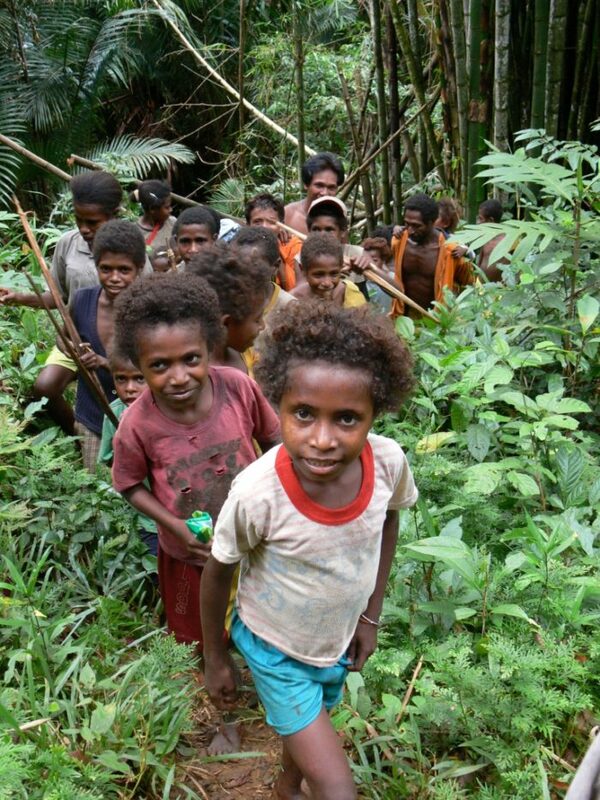 The victory they secured earlier this month in becoming the first community in Papua to obtain “Village forest” status for part of their land is testament to their bravery and tenacity. Although the decision gives them control over forests in two village areas, the community plans to press for all of the villages in the Knasaimos area to be accorded the same status. On the UN International Day of Forests, EIA salutes the achievement of our friends from the Knasaimos and hopes their victory provides inspiration for other communities across Papua struggling to protect their forests from the onslaught of oil palm.